Monica McBride, Manager, WWF. Monica joined WWF in January 2017 and has been managing the Food Waste team’s portfolio of projects including demonstration projects focused on food waste reduction in the hospitality sector, quantifying on-farm loss of specialty crops in the US, and working with leading retailers to understand their current scope of food loss and waste in order to implement zero waste merchandising strategies. Monica’s expertise includes product level life cycle assessments, value chain greenhouse gas quantifications, sustainable supply chain strategy development, and waste management and sustainable agriculture policy evaluation and implementation. Monica has worked extensively on the development of appropriate metrics and quantification approaches for capturing both the economic and environmental benefits of supply chain and internal sustainability initiatives for retail, consumer product companies, and agriculture producers. Most recently, Monica worked as a Project Manager for the Coalition on Agricultural Greenhouse Gases (C-AGG) where she helped the organization and its stakeholders further the development of tools, decision-support systems, policies, and voluntary incentives that would effectively engage the agricultural sector in activities to reduce the greenhouse gas emissions from their operations. 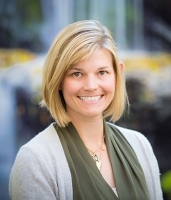 Prior to joining C-AGG, Monica was a Senior Consultant with Deloitte Consulting where she focused on developing sustainable supply chain strategies for retail and consumer goods companies, helping them understand the environmental impacts of their products, and researching closed loop solutions for apparel and packaging waste. She earned her Masters of Environmental Management from Yale University and holds a BS from Brown University.